With reports today that there could be shortages of butter and cream in future, Rachel Knight, consumer insight director, gives her view on the forces at play in the category. “Following a two-year period of falling prices in the butter market, costs began to creep up around six months ago. In the twelve weeks to the 18 June, we’ve seen price hikes really accelerate: the average cost of butter now stands at £4.92 per kilo – a rise of almost 18%. “We’ve recently seen a return to inflation in the grocery market so prices are up across the board. However, inflation in the broader market stands at 3.2% - and milk, another dairy staple is up less than 3% year on year - a fraction of the rate at which the price of butter has risen. “So what’s behind these rocketing butter prices? A closer look at the dynamic between own-label and branded butter sheds some light on the trend. 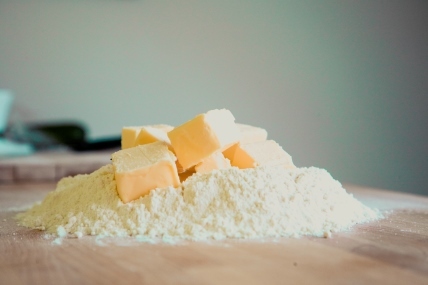 “For almost five years the price of own-label butter was in slow but steady decline, falling from £4.79 per kilo in mid-2012 to £3.41 per kilo in May last year. Branded butter saw prices drop too but not to the same extent. Over the past year, prices of private label block butter have jumped by almost a third, bringing the average price to £4.62 per kilo. Despite the sharp rise, today’s prices are lower than they were five years ago, suggesting that this is a more a return to normal pricing, levelling the playing field between branded and own label. “Another trend which has contributed to higher average prices is reduced promotional activity as supermarkets switch to everyday low pricing. The proportion of butter sold on promotion fell by 23% last year, with block butter particularly affected. However this isn’t deterring shoppers from adding the everyday staple to their baskets with volume sales remaining fairly flat.